We hear more and more about devastating brain injuries these days, with routine injuries as well as news coverage of combat veterans and famous athletes. Our heath care systems will be managing these injuries for decades to come. 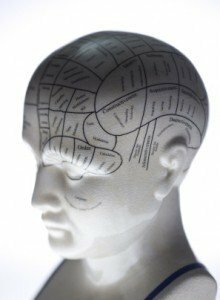 Fortunately, traumatic brain injuries may trigger Social Security disability benefits. Social Security points out that brain injuries may manifest in a variety of post-traumatic symptoms. The recovery rate is highly variable and the long-term outcome may be difficult to predict in the first few months. Sometimes a patient may appear to improve immediately and then precipitously worsen. Conversely, it may appear much worse initially but improve after a few months. Social Security definitions and regulations look at symptoms such as aphasia (difficulty saying words), and problems with movement or balance. Typically there will also be severe memory and concentration problems, and difficulty completing simple tasks in a timely way. Extreme fatigue is also common, and can in itself preclude work. Symptoms worsen when a person is tired, and speech and physical problems become more pronounced. For Social Security eligibility, the effects of brain trauma are also evaluated in terms of personality change, social functioning, motor function, and mood disturbances. Veterans with TBI should always be aware that eligibility for Social Security disability or SSI programs may exist alongside eligibility for veterans’ benefits. People who have had brain trauma often try to present themselves as being as highly functional as possible. It is sometimes difficult to convince them to talk about their “worst day” rather than their “best day.” Having a relative or friend testify about actual functioning achieves greater clarity. Often cases involving brain injuries from strokes or injuries will be denied at the initial levels of the Social Security process. The denials will simply state that while there may be a problem, it would be “expected to resolve” within twelve months, and thus there is no eligibility. Denials should be appealed immediately. We can help with this process and tracking other important deadlines. those suffering from brain injuries. National Institute of Neurological Disorders and Stroke – Information page from NIH. Disability Evaluation Under Social Security – SSA site for brain injury Listings.